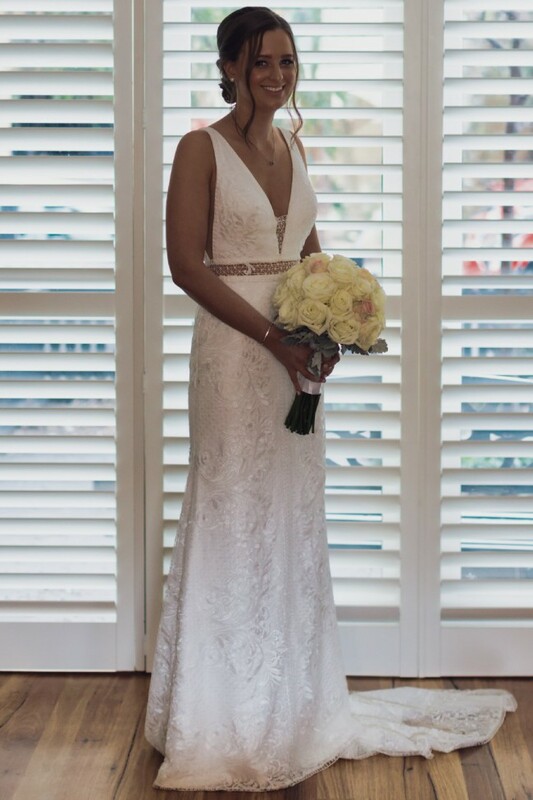 Married 9th September 2018, I was the first bride to wear this design. Evie style dress as seen on the Jane Hill website, however I customised this dress making it a one of a kind design. Changes included removal of the split in the original design making this dress a more classic and timeless design. All customisations performed in-house at Jane Hill upon creation of the dress. Worn once and professionally dry-cleaned, in flawless condition. I am 172cm tall and wore 6cm heels, so would suit anyone that height or below. The train can be bustled or has loops for your wrist. Exquisite silhouette that flatters and gives the perfect shape. The lace is of highest quality. Available to be tried on in Kew, VIC.